Buckle up, it’s going to be a high climb to the top! Eight different gears, eight different artists and COPILOT at the heart of it all. 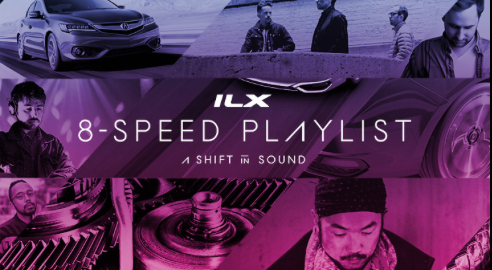 We loved teaming up with Acura and Razorfish on this unique project that included amazing emerging bands, DJs and producers. Artists were assigned a different gear function which inspired them to create innovative and exciting tracks. With the different speeds given to each act, we had the privilege of seeing these projects accelerate from the ground up. This stellar roster includes Kisses, Bear in Heaven, Spazzkid, starRo, Plastic Plates, Bit Funk, Walla and Amtrac. This interactive experience for listeners culminated with a ‘Master Mashup Mix’ that has linked all eight gears together. This mashup captures the overall arc of the new #ILX2016, cruising through the rhythms of each gear and climbing up to it’s ultimate transmission. Check out this article written in Adage about the project!